Manufacturer of Marbling Paper Sheets and Products We are Manufacturer, Exporter, Supplier of Indian Cotton Hand Marbled paper sheets in Jaipur Rajasthan. Painting on water our Selection of Marbled Paper are not printed, They are all Hand Marbled by Artisans in ( Jaipur) India . 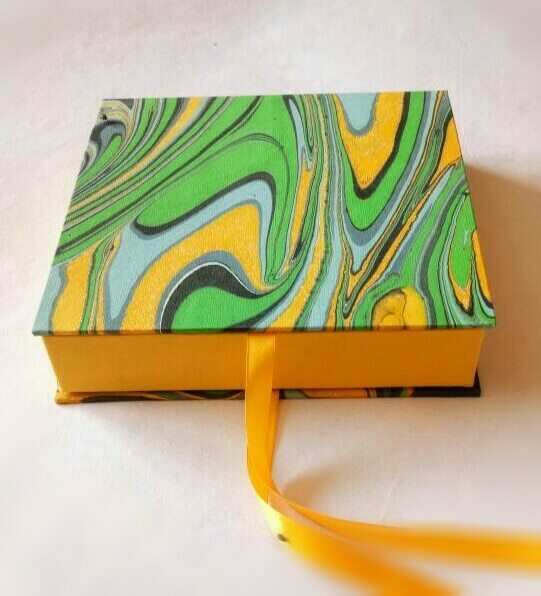 We made cotton Fiber Marble paper, Handmade bags, Diaries Lampshades and Marbled Leather notebook, Greeting cards, Corporate gift set, Boxes, Photo frames Decorative items And many more others products.